It produces furniture that makes the roundabout close their Edinburgh store a nightmare to navigate at all times. Seriously, it's always rammed. Informed, huh? 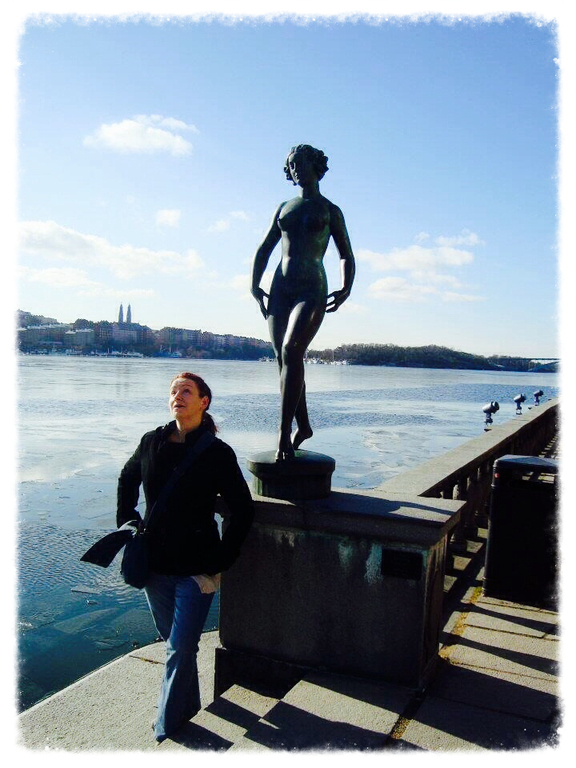 In light of my extensive knowledge of Sweden, it seemed only right that I should go to Stockholm. I also needed someone to share my fascinating facts with, so I took my younger sister along for the ride. Being a huge Scandinavian crime fiction fan, I had spent the past few years devouring The Millennium Trilogy and Martin Beck Series books and was desperate to see if they city streets I imagined in my head lived up to the real thing. We decided on a long weekend in March, which was, as my facts attest, bloody cold. However, being Scottish, we knew we'd be able to wear all our regular clothes. Score! We fly with Ryanair from Edinburgh and they kindly dropped us off somewhere in Sweden. From there (Skavsta) we boarded a bus, pointed to the North and a speedy 80 minutes later, we rolled into Stockholm's Central Station. We were booked into the Comfort Hotel, just around the corner from the station, so we checked in and giggled at the fact that our room had no window and only one bed. The other 'bed' was a kind of wooden plank that was pulled down from the wall and looked like it might not be entirely happy with my weight. Obviously, I lived to tell the tale, so it was all good. The trip was on a budget, so the Comfort Hotel was a great find. 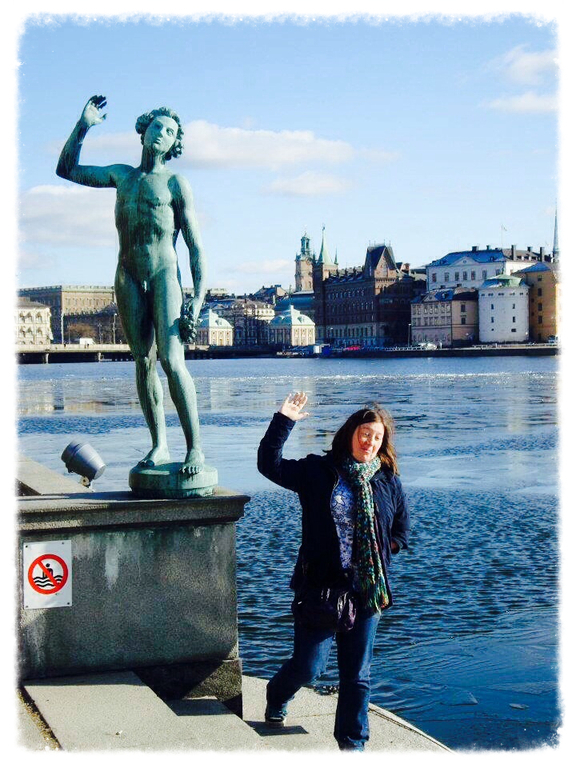 It was compact, with friendly staff, and was centrally located on Kungsbron 1. Our plan was to basically wander around the city and see what it had to offer. We walked and walked and walked. And it was magical. After dumping our bags and trying to remember where we were located (I have no sense of direction), we headed out to take in the sights. 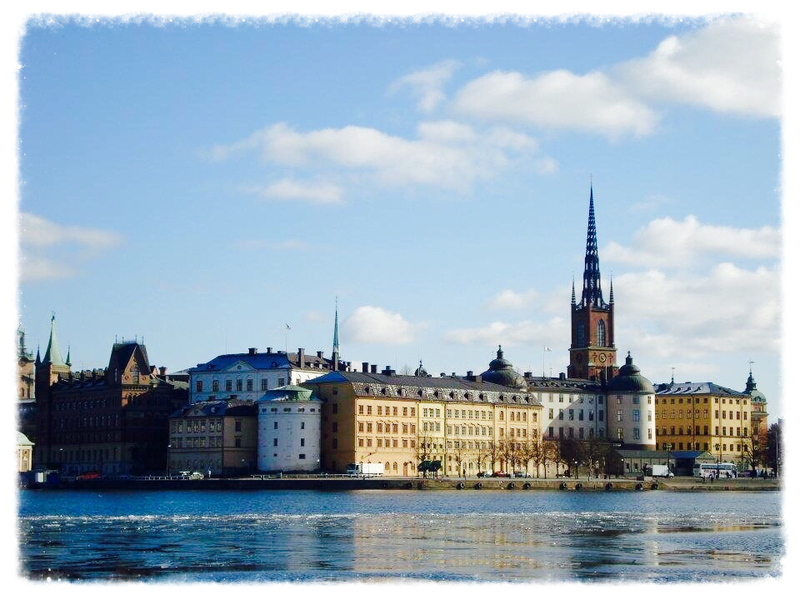 Stockholm is made up of 14 islands, connected by a series of some 57 bridges and is easy to navigate on foot. Our hotel was located in the Norrmalm district, which is essentially the city centre, and there's lots to do here, and in neighbouring Djugarden, without having to venture too far. We started what was left of our first day by taking a quick peek at the Police HQ building on Kungsholmsgatan. Exciting, right? I know! This is because of my aforementioned love of Swedish crime fiction and I wanted to see where Martin Beck spent his time. For those of you that have no interest whatsoever in real places where imaginary people work, I completely understand. It was fabulous, though. Anyway, after failing to pique my sister's interest in middle-aged Swedish detectives, we rolled on over to City Hall. 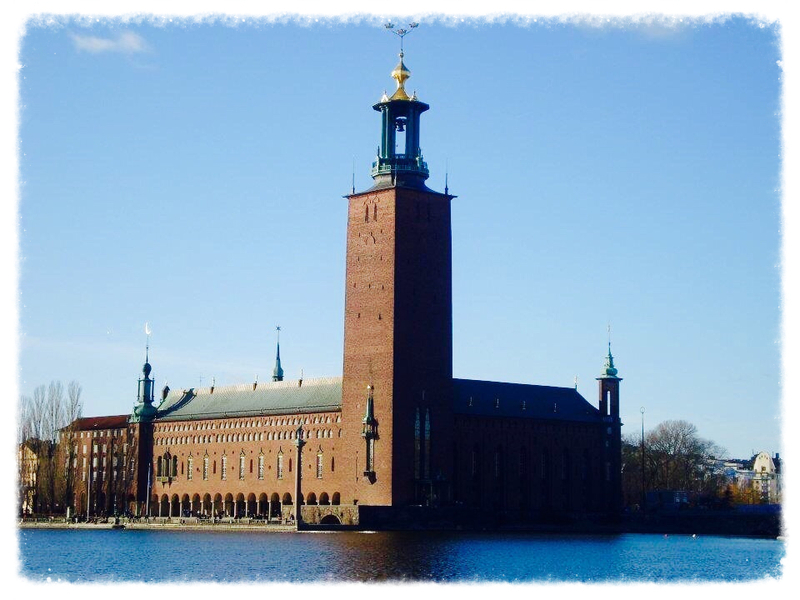 Stockholm City Hall: or SCH, as I like to call it, was opened in 1923 and constructed using 8 million orange bricks. 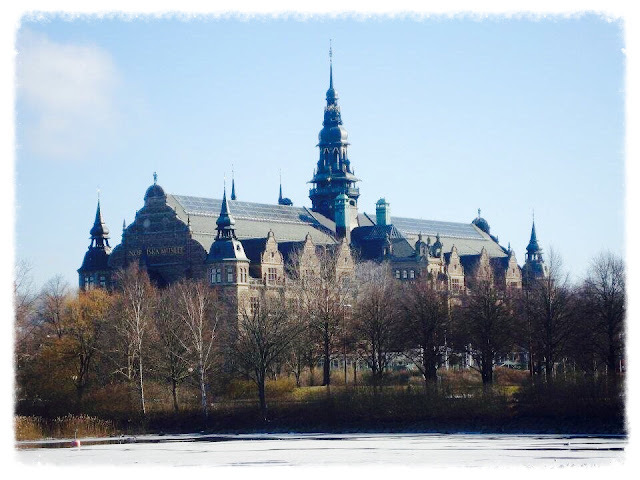 It is, perhaps, more famous for hosting the annual Nobel Prize Banquet within its Blue Hall each December. As the name suggests, City Hall is just that, and houses many a diligent government worker. Therefore, it and can be only be experienced by joining a guided tour. Tours are conducted daily, with various times to choose from. Tickets cannot be purchased in advance and can only be obtained from the Hall itself. You can purchase a ticket from between 70-100SEK for an adult (around £5.50-£7.50). Vasamuseet: The year is 1625 (just go with it...) and King Gustav II Adolf signs a contract to begin construction of four new ships. 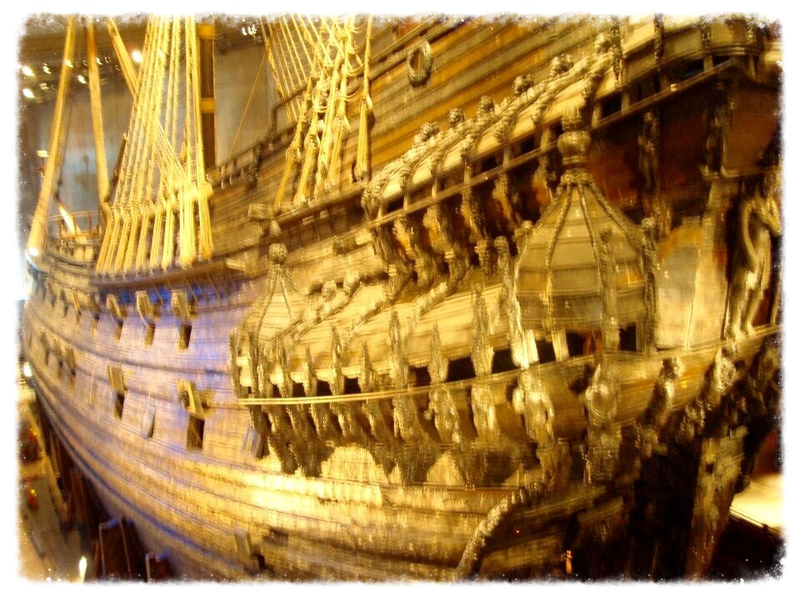 The Vasa was to be the first of these and was completed in 1627 by several hundred workers. In August the following year, it set sail, managed to make it around 1,300 meters and then promptly sank in Stockholm harbour. A pretty depressing story, I'm sure you'll agree. However, after decades of highly skilled restoration and other technical stuff I can't even begin pretending to understand, it is now housed, and has been since 1981, in the stunning museum, which bears its name. There's a ton of stuff to see within the museum, with the main attraction, obviously, being the ship herself. It's a pretty spectacular size and we spend a few hours happily pointing at stuff and marvelling at The Power and Glory Exhibition, which shows how amazingly colourful and detailed the ship's sculptures were. The museum is open 7 days a week and costs approximately SEK 130 (around £9.60) for an adult ticket. It also offers free admission to under 18's. 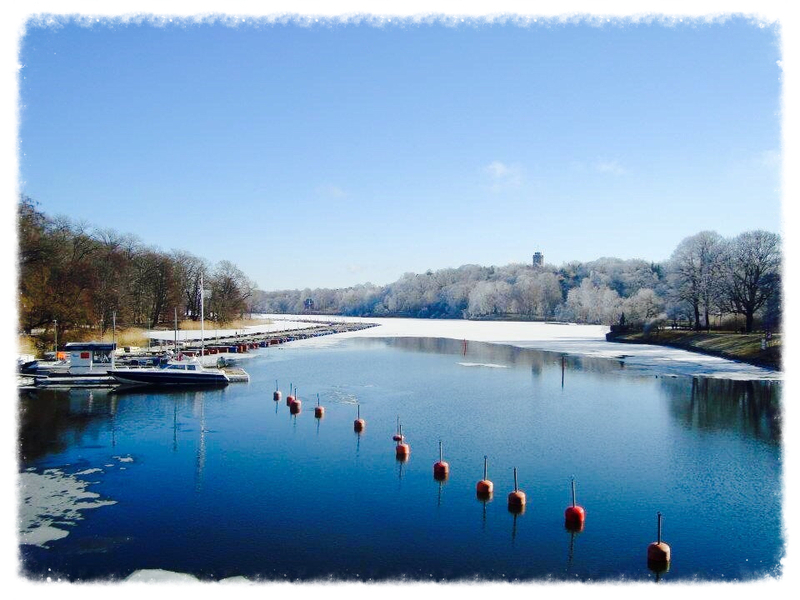 Vasa is located on Djugarden, which has a host of attractions to help you keep warm in the icy March temperatures. These include the Nordiska Museum; dedicated to Swedish culture, and the ABBA museum; dedicated to awesome blue jump suits and terrifyingly catchy tunes that you'll never, ever be able to get out of your head. Why fight it? Gamla Stan: Gamla Stan is Stockholm's Old Town. 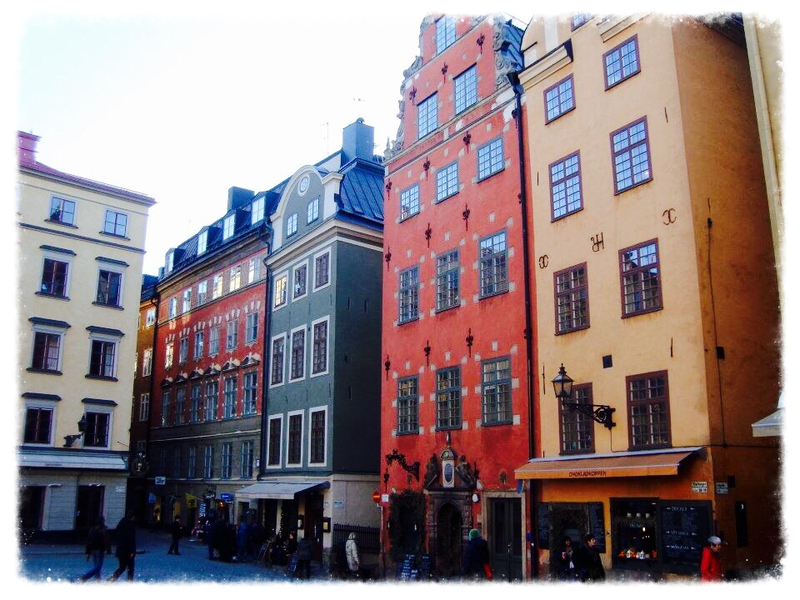 Its large square, Stortorget, is surrounding by brightly painted buildings, and boasts of being one of the best preserved medieval city centres in Europe. It really is spectacular to see on a bright, sunny (but very cold) day and I imagine it still looks stunning on rubbish days, too. It's a wonder of narrow streets and interesting little shops and cafes, where you can relax and put your feet up (metaphorically, obis, no on wants your sweaty kicks on their seat). After chilling out for a while, you can head to the Royal Palace to catch the changing of the guard, mosey on to Stockholm Cathedral, or take in the Nobel Museum. The 600 roomed Palace (imagine the cleaning...) will set you back around SEK 150, the Cathedral between SEK 40-50, although attending services is free of charge, and the Nobel Museum is SEK 100 for a regular adult ticket. Ericsson Globe: The Globen is the largest spherical building in the word. Yes: THE WHOLE WORLD! It's located in southern Stockholm, so will require some public transport, and lives in the Enskede-Arsta-Vantor borough. It is generally used for ice hockey, but also hosts concerts and other events, such as the Eurovision Song Contest in 2000. 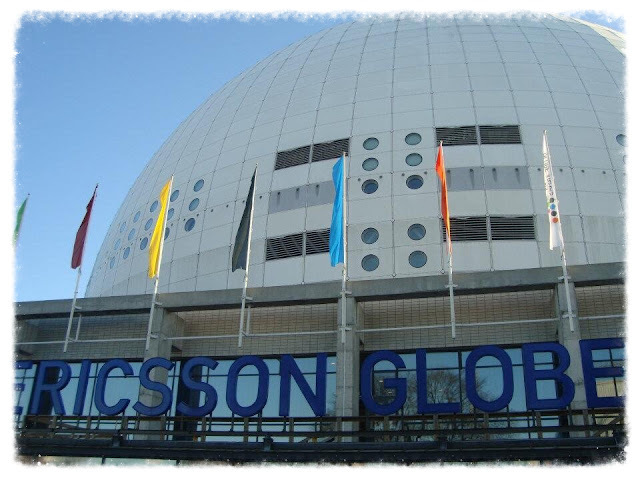 In addition to dazzling displays of European singing, where everyone awards the UK a big fat 'nil points', Globen also has a couple of glass gondolas that allow visitors to part with SEK 150 for the sheer terror of ascending 425 feet above sea level to the very top of the building. Welcome to Skyview.... 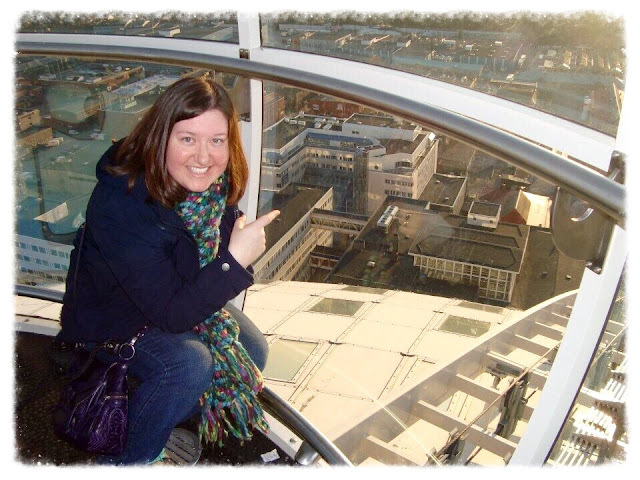 Seriously, though, if you can get over the whole 'this lift is circular and that means it might roll away' thing, the views from the top let you gaze out across Stockholm and are worth every penny. 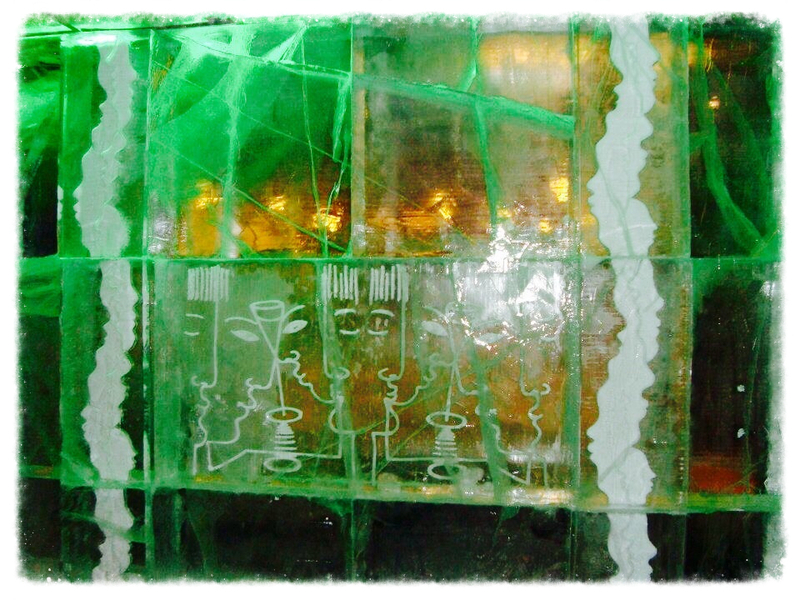 After days of wandering around, interspersed with countless trips to every McDonalds in the city for cheap coffee, a seat to rest our weary legs, and free Wi-fi, we decided to investigate IceBar. We'd missed the previous two evenings on account of all the walking around and being too tired to do much except grab dinner and do something that involved not standing upright. IceBar is located within the IceHotel on Vasaplan, and just a few minutes walk from our hotel. I booked some tickets online and we hobbled round to see what the fuss was about. 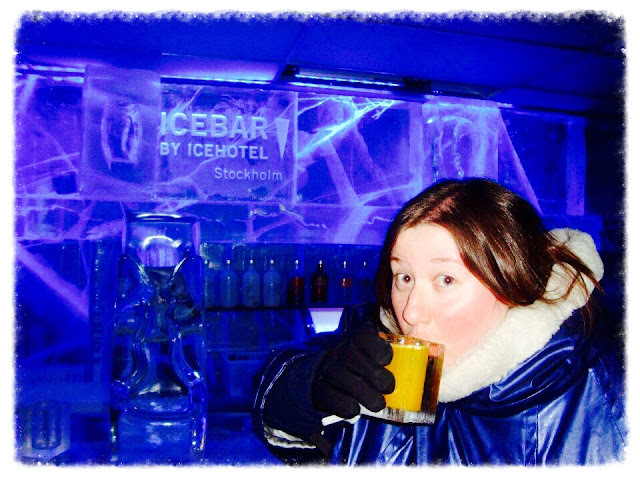 I'd never heard of an ice bar, much less seen one, so I was keen to explore the world's first permanent facility. Also, I love vodka. It's not the cheapest way to spend 45 minutes, which is what you get from your SEK 185 ticket. 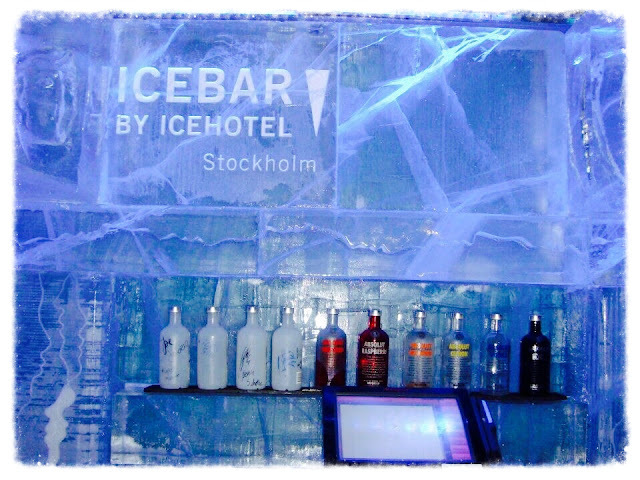 Don't panic: you also get a small drink served in a glass crafted from ice. You also get the use of a very fetching cape and gloves to help you stave off your susceptibility to pneumonia while you're in. The entire bar is made of ice (hence the name), and contains a host of fabulous chiseled statues. Stockholm has so much to offer, that it's difficult to scratch the surface in just four days. However, it does give you a flavour of the city and leave you promising you'll go back one day. It's highly unlikely you'll ever be bored here, but should you find yourself in this position, find yourself some statues and see if you can pretend you're one, too. This is expertly demonstrated below. You're welcome.